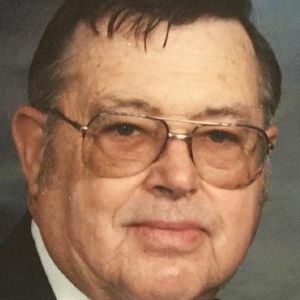 Curtis Edward Roark Sr., 84, of Houston, Texas passed away peacefully at home on December 27, 2018. Curtis was born January 1, 1934 to George Washington and Rosa Ella Roark in Limestone County, TX. He was the youngest of 7 siblings. Curtis went to Glen Rose High School where he played football. During high school, he worked summers in Houston on oil derricks. After graduation, he worked for the US Government on B-52 bombers in Fort Worth. He later moved his family to the Houston area where he worked for Parker Bros. and Co., Inc. as a crane operator for 36 years. At a young age, Curtis developed an interest and love for auto mechanics and enjoyed working on older cars most of his life. He also helped to build the safety systems in both of his sons' race cars and was instrumental in supporting their racing hobby for several years. After retirement, he began working as a courier for Bank One where he also was "Bosco the Clown". Curtis is preceded in death by his parents and siblings. He is survived by his loving wife of 62 years, Theda Roark; sons Michael (Mike) Roark and wife Brendel of Deer Park, Curtis (Curt) Roark Jr. and wife Kelly of Humble, and daughter Lora Roark of Houston; grandchildren, Leslie Rose and husband Brandon, Collin Roark, Curtis (Trey) Roark III and wife Heather, and Kaitlin Roark; great-grandchildren, Sephora, Lilia, Asher, and Noah Rose and Cash Roark; numerous nieces, nephews and extended family and friends. The family would like to thank everyone for their prayers, words of comfort, and support provided in the last few months of Curtis' illness. We appreciate all those who visited, made phone calls, prepared food, and showed Curtis and the Roark family so much love and kindness. We extend a very special thanks to Anita Nancarrow, who stayed at Curtis' side day and night to care for him the last few months, and to her husband, Robert, who selflessly shared her. Our sincerest gratitude to Encompass Hospice Care. The care and support they provided to Curtis and the Roark family was outstanding. The family suggests memorial contributions can be made to Sterling Wood Church or the American Kidney Fund at kidneyfund.org or by mail to American Kidney Fund, 11921 Rockville Pike, Suite 300, Rockville, Maryland 20852. A memorial service will be held on Tuesday, January 8, 2019 at 11:00 a.m. at Sterling Wood Church, 4910 East Sam Houston Pkwy N, Houston 77015. Curtis and Theda Roark were our neighbors and long time friends,such wonderful Christian people,Curtis would do anything for you,we will miss him.RIP Curtis your friends The Gaeke family.